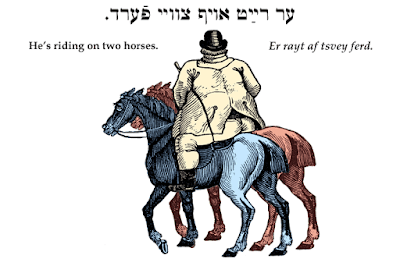 Perhaps the Gemara was thinking of a coach or chariot being pulled by two horses. Yes; that is a possibility. Another is that, despite the impossibility, they understood that that was what Rav was saying - he is getting to do this impossible.